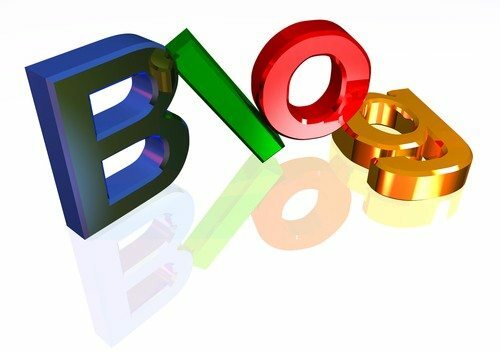 Is your blog site brand-new? If your blog site is brand-new, you’ve really got to work and feed it. You need to make sure you’ve got enough of the right content that answers the questions and solves the problems of the visitors who come to your site. Stop worrying about being fancy. Stop worrying about showing your tech edge. Just answer questions and solve problems. Sit down, write out a list of the process a person goes through when buying or selling a house (or buying and flipping investment property, or buying and leasing out commercial property, or buying and renting multifamily property). Focus on whom you want to work with. Don’t try to be all things to all people, because when you do, you’ll be nothing to everyone (or everything to no one). Start explaining the process in short, 300- to 500-word blog posts. Make as many as possible. Some posts will be centered around a short, simple concept, while others will be longer, as some processes have more steps. The idea here is to focus on answering the questions and solving the problem, while at the same time creating the content. Well? How much do you have? Let’s just look at blog posts. How many have you written? Ten? One hundred? One thousand? The wondrous thing is, once you have a solid foundation of 50-100 blog posts, you are pretty much set. No, you can’t just ignore your blog and rest on your laurels. However, you can stop focusing on creating blog posts and start working on promoting your blog posts, especially the most popular ones. It’s easy to write a 300- to 500-word blog post that answers several questions about a specific process or topic, and pointing to the answers you’ve already given in your older posts (it’s called linking). What do I mean? I’m not talking about the type of content (i.e., video, text, audio), I’m talking about the kind: blog post, e-book, white paper, training series, etc. So what kind of content are you publishing? Blog posts help with SEO; e-books, white papers and training series help with lead capture. Take your blog posts and create a longer e-book, or a white paper, or even better, a training series, and offer it up free to visitors. Have them sign up with their email address (lead capture!) to access these items. How are you promoting that content? Aside from letting your blog posts sit on your website and hoping and waiting for the search engines to find them, how are you promoting them? Who cares? Really. You haven’t intrigued anyone — you haven’t pulled at their attention. Instead, switch it up. What is your post about? Pull something intriguing from it or reword a short catchphrase from it and do it that way. Example: Stop writing blog posts and start doing this —–> LINK (as an example I would use to promote this post). However, you must cater your promotion and verbiage to each individual social media network. What works on Facebook doesn’t usually work on Twitter — same with Google Plus and LinkedIn. People are on different networks for different reasons. Apply to them in that format. How often are you promoting your content? Once? You don’t want to bug anyone? Stop thinking like that. Promote your stuff multiple times in multiple places. Promote it days, weeks, even months later. Not daily, of course, but an excellent post written about a popular topic should be promoted until it’s no longer relevant. When it’s no longer relevant, make it relevant again. How many blog posts should I be writing each month? The answer is: As many as you need to answer the questions and solve the problems of your visitors who are interested in your services.